After searching all over the web looking for a complete upper for my new AR build I lucked up and stumbled on Black Rifle Arms. I made a phone call to them and got this upper ordered. It took 4 days and it was at my door. The way it fits on my SWAT firearms is perfect. It's very tight with no play at all. I haven't been able to shoot it yet because I'm still waiting on my buttstock and ammo. I'll report back once I put some rounds through it. I'll be a Black Rifle Arms customer for life. Well, I finally got a chance to shoot my BRA Spartan gas piston upper...I cant put it into a single word. 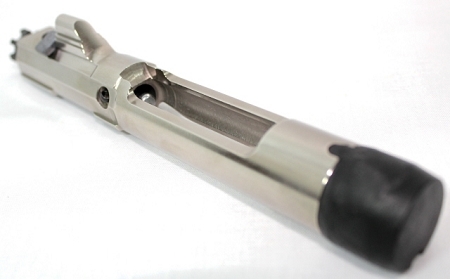 Since I was new to gas piston, I was amazed at how cool the bolt carrier remained, even after several hundred rounds. The cleanliness of the system kept me shooting, without feed or extraction issues, for hours. I shot expensive ammo and comlete crap ammo. This thing took it all. Post-shooting cleanup occurred a couple of days later (I got busy- don't judge me!). Considering the delay, I was quite surprised at how easily everything cleaned up. T&C were great during pre-sale, All my questions, no matter how idiosyncratic, were answered, and all my requests were met. Overall, I'm very happy with this setup and look forward to shooting it for years to come.